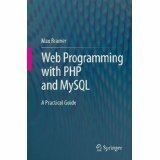 Published by Springer-Verlag, 2016. 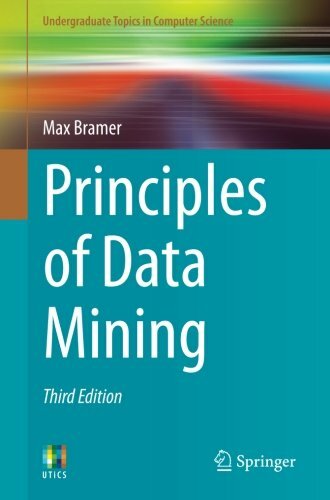 Explains and explores the principal techniques of Data Mining: for classification, generation of association rules and clustering. Published by Springer-Verlag, 2013. Teaches the techniques of Logic Programming through the Prolog language. Published by the IEE in the Professional Applications of Computing series. An edited collection of refereed papers covering both theory and practice in this important field. Published by Springer in the LNAI Series 2009. Comprises chapters on new or emerging areas of Artificial Intelligence contributed by expert members of IFIP Technical Committee 12, its Working Groups and their colleagues. Transactions on large-scale data and knowledge-centered systems, Springer, 9070, pp. 90-107. ISBN: 978-3-662-46702-2. DOI 10.1007/978-3-662-46703-9_4. Expert Systems, Wiley, 31(5), pp. 411-420. ISSN: 1468-0394. doi: 10.1111/exsy.12032. Scaling up Data Mining Techniques to Large Datasets Using Parallel and Distributed Processing. Knowledge Based Systems. Elsevier, 35, pp.49-63. ISSN 0950-7051. Proceedings of the 2011 International Conference on High Performance Computing & Simulation (HPCS 2011), Special Session on High Performance Parallel and Distributed Data Mining (HPPD-DM 2011), Istanbul, Turkey, IEEE press, pp.686-692. ISBN 978-1-6128-4380-3. Proceedings of the 19th International Symposium on Methodologies for Intelligent Systems (ISMIS 2011), Warsaw, Poland. Lecture Notes in Computer Science LNCS 6804, Springer Verlag, pp.336-345. ISBN 978-3-642-21915-3. Springer Lecture Notes in Artificial Intelligence (LNAI 5640). ISBN 978-3-642-03225-7. ISSN 0302-9743. In: Artificial Intelligence: An International Perspective. Springer Lecture Notes in Artificial Intelligence (LNAI 5640). ISBN 978-3-642-03225-7. ISSN 0302-9743. In: Research and Development in Intelligent Systems XXIV, Springer-Verlag, pp. 357-362. ISBN 978-1-84800-093-3. In Applications and Innovations in Intelligent Systems XIV, Springer Verlag, pp. 233-237. ISBN 1-84628-665-4. In Research and Development in Intelligent Systems XXIII, Springer Verlag, pp. 393-397. ISBN 1-84628-662-X. University of Portsmouth, School of Computing, Research Report UoP-AI-2006-002. University of Portsmouth, School of Computing, Research Report UoP-AI-2006-001. Springer Science+Business Media. ISBN 0-387-34654-6. Vol. 19, No. 5. September 2006. Elsevier. In Artificial Intelligence Applications and Innovations: the third IFIP Conference on Artificial Intelligence Applications and Innovations, Springer, pp. 129-136. ISBN 0-387-34223-0. I.Maglogiannis, K.Karpouzis and M.A.Bramer (2006). International Journal of Systems Science, Vol. 36, No. 14, pp. 909-919. ISSN 0020-7721. Expert Update, Vol. 8, No. 2, Autumn 2005, pp. 40-46. ISSN 1465-4091. Vol. 18, Nos.4-5. Summer 2005. Elsevier. Systems Science, Vol. 30, No. 4, pp. 91-102. ISSN 0137-1223. Proceedings of the 2004 IEEE International Conference on Systems, Man and Cybernetics (IEEE SMC 2004), The Hague, October 2004. In Z.Bubnicki and A.Grzech (eds. ), Proceedings of the 15th International Conference on Systems Science (Wroclaw, Poland, September 2004), Volume III, pp. 61-72. ISBN 83-7085-806-6. Reprinted in Systems Science, Vol. 30, No. 4, 2004, pp. 91-102. ISSN 0137-1223. Kluwer Academic Publishers. ISBN 1-4020-8150-2. In Artificial Intelligence Applications and Innovations, Kluwer Academic Publishers, pp. 279-291. ISBN 1-4020-8150-2. Vol. 17, Nos. 2-3, Summer 2004. Elsevier. In Knowledge Discovery and Data Mining (ed. M.A.Bramer), IEE, 1999. In Research and Development in Expert Systems XIV (eds. J.Hunt and R.Miles) SGES Publications, pp. 7-23. Reprinted in Knowledge Based Systems, Vol. 11, Nos.5-6. (1998). Data Warehouse Report, No. 10, pp. 11-17, Summer 1997. Data Warehouse Network. Proceedings of Data Mining 96, London, April 1996, Unicom Conferences, pp. 140-166. Unicom. Proceedings of Data Warehouse 97, Madrid, April 1997. Instituto Superior de Tecnicas y Practicas Bancarias. Proceedings of Data Warehouse 97, London, June 1997. Data Warehouse Network.